After years of inactivity, the past 12 months of work on the Twin Cities Army and Ammunition Plant (TCAAP) has dramatically changed the 427-acre site. Crews have demolished all but one of the 44 buildings that were onsite when Ramsey County purchased the property in April 2013. Environmental cleanup work has been completed on approximately 100 acres, which are now awaiting final soil testing, and the planning process to guide the redevelopment of the site is well underway. To date, crews from Carl Bolander and Sons have removed 35,000 feet of fence, 40,000 feet of railroad tracks, 12,000 feet of steam/condensate piping, and more than 100,000 feet of water, gas, storm, and sanitary sewer piping. Additionally, Bolander crews have removed, crushed or stockpiled more than 100,000 tons of concrete and asphalt for recycling, which is equivalent to the weight of an average passenger cruise ship. This is less than a third of the approximately 90 percent of materials on the TCAAP site that will be recycled or reused in new roadways on the site and in other parts of the Twin Cities. The one remaining building – Building #502 – required significant asbestos remediation, which was completed this winter. Before the building can be demolished this summer, crews will also remove contaminated soil and concrete that needs to be disposed of in a special manner. Work to clean up the TCAAP site will be completed in October 2015. 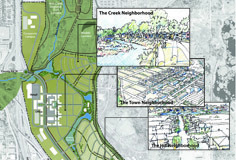 In addition to cleaning and clearing the TCAAP site, Ramsey County and Arden Hills are in the process of developing a master plan for the redevelopment of the site. 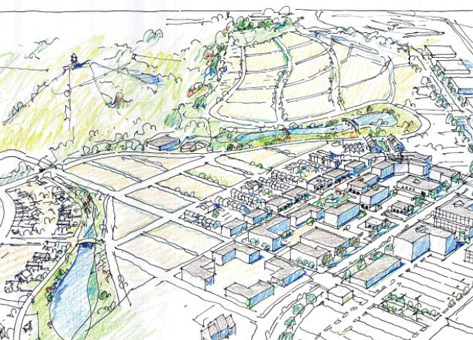 Most of the commercial development would be located in the center or on the southwestern edge of the site. 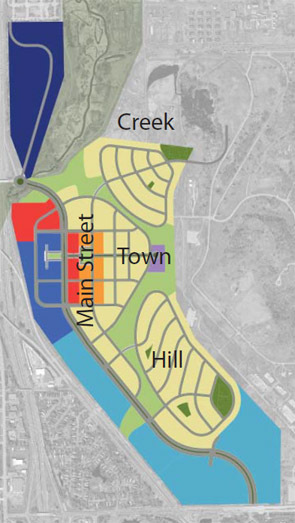 Residential development would be divided into three different types of neighborhoods on the east side of the site, which would attract residents of all ages. The three residential neighborhoods will be similar in size to several surrounding neighborhoods in Roseville, Shoreview, and Arden Hills. Over the past several months, officials have held a series of public meetings about the draft master plan. The project team will incorporate community feedback and present an updated master plan to the Arden Hills City Council and Ramsey County Board of Commissioners in the coming months. Approval of the plan will likely occur in early summer. Additionally, the county is pursuing funding to make improvements to transportation connections to the site that would support the site’s planned uses. This includes updates to the 35W/96 and 35W/County Road H interchanges. Additional roadway will be built on site, including the construction of a spine road in 2016.